This is my first attempt at rendering using Indigo. Not much of a scene, just getting everything working OK before rendering a project. This render is after 23 h, 17 m, 49 s on an AMD X2 3600+ 2GB RAM machine. I had the camera aperature set to f8 and the shutter speed to 1/125. I thought that it would be a little sharper focus, maybe it just needs to render a little longer? Why are there black lines around the eyes? Is there a way to get rid of this? Any other comments besides “well…it’s a white monkey”. It doesn’t look our of focus to me. 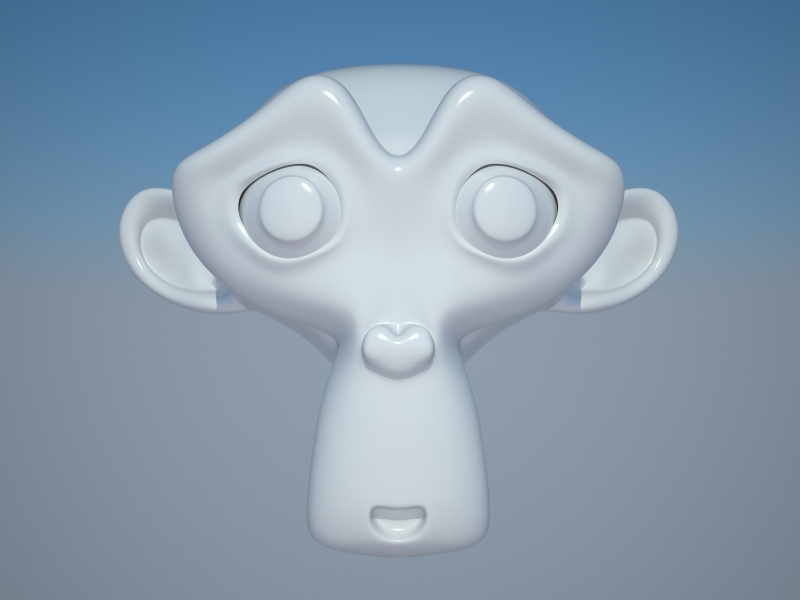 The black lines are caused by the fact that suzzane is not one mesh, the eyes are detached from the head :eek:. So when you subsurface it they form gaps. It looks sharper on my CRT monitor as opposed to the LCD I was viewing it on earlier. That is one clean render… And one white monkey! Hmm… Should be sharper on an LCD. Try matching your screen resolution to that which is native for your monitor. And it is really sharp here, don’t worry - I also don’t think you need to mess with the camera settings too much, usually the defaults give good (sharp) results. Seven thousand samples per pixel?? Might you settle for, say, 700 ? And reduce the render time to two-and-a-half hours? ?